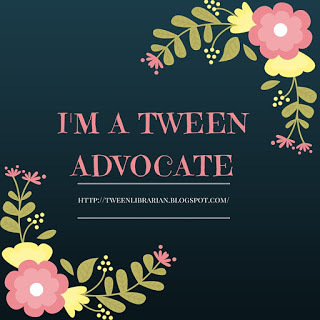 Hello to the lovely readers of Sarah’s blog! My name is Kelly Jensen, and I’m a blogger at Stacked, as well as Book Riot, and I’m running on the ballot for the 2016 Printz Committee. Sarah was generous enough to let me talk a little bit about some of my favorite Printz titles in her space today. 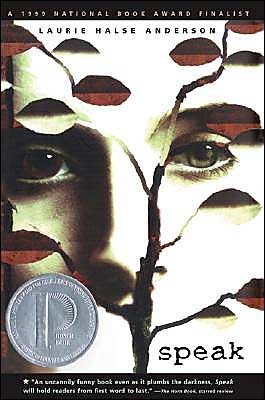 I was 13 when Laurie Halse Anderson’s Speak came out. I don’t think I read it when I was 13, but I know I picked it up and read it when the library developed its first teen-only section and this was one of the books I found in it. I remember finding Melinda’s story and her voice haunting and chilling in equal measure. It’s impressive that this was Anderson’s first novel. 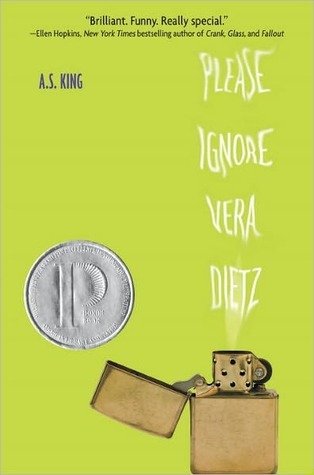 I think that the Printz committee’s decision to award it an honor was not only a good decision because the book deserved that recognition, but I think it helped solidify both the importance of this work and it helped pave the way for Anderson’s future works to be taken as seriously as they should be. Speak isn’t a book people don’t know about. But Speak is perhaps one of those books that should be picked up and reread periodically, not just because of what it tackles, but also because it’s a well-written, thoughtfully-crafted, powerful book. It is a cornerstone of not just what realistic YA fiction is, but of what YA fiction looks like on a grander scale. Is this magical realism? I easily categorize King’s novels in that genre, but then I always step back and wonder if that’s a completely fair category in which to place them. Because everything here is real. Except maybe the talking Pagoda. But maybe that Pagoda isn’t really talking. Maybe that’s all in Vera’s head. Grief does that to you, and since this is a novel about grief, it’s impossible to necessarily separate what’s really going on in Vera’s world with what she’s perceiving is going on in her world. Those things are muddied and confused and rendered brilliantly so. This is a novel about grief, and it’s a novel about how grief is confusing, challenging, painful, and sometimes means what you see and what you experience aren’t always real or maybe are realer than you could have ever imagined before a painful loss. This certainly deserved its Printz recognition, if not for the excellent writing alone, but for the careful crafting of distinct multiple voices, as well as the creative risks. Though it tackles grief and the challenging nature of relationships more broadly, King’s book is also funny. It’s not maudlin in the least. Christopher’s debut novel lands on my personal list of all-time YA favorites, and one of the biggest reasons is because it’s so divisive. This was a title up for consideration one of the years I served on the Cybils round one panel in YA fiction, and it easily developed the lengthiest chains of discussion among titles discussed any of the three years I served on Cybils. 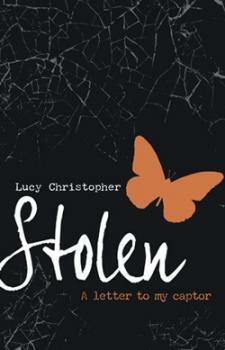 What makes Stolen so divisive is precisely what makes it such an excellent, thought-provoking read. It’s a story about Stockholm Syndrome -- Gemma is abducted from an airport and taken to the Australian desert by a man named Ty. Written as a letter to Ty, Gemma’s emotions and thoughts about that experience, as well as her feelings to and towards Ty, twist and unravel simultaneously. She loves him and then she hates him. She wants to be close to him but then she wants to be as far away as possible. Gemma’s psychological trauma is evident in how she is unable to fully grasp the situation she was in. Though she’s writing from outside the event, it’s clear to readers that she’s not yet removed from her captivity. Christopher builds excellent tension in this gulf between what Gemma says and what we as readers see and understand, and she’s also able to create discomfort in the reader, too, as it becomes less and less clear whether Ty is or isn’t a good guy -- we know, but through Gemma, that question hangs in the air and we keep wondering whether we, too, are experiencing the effects of Stockholm Syndrome. This thriller was awarded the honor the same year that Please Ignore Vera Dietz earned an honor, as well as the same year that Nothing by Janne Teller did. 2009 was a great year for darkness, and the committee honored an array of titles that went to that place of discomfort in very different -- and meritorious -- ways. A couple of other Printz honor titles I really appreciate include E. Lockhart’s The Disreputable History of Frankie Landau Banks and Deborah Heiligman’s Charles and Emma: The Darwins’ Leap of Fate. Good shares: These all sound like thought-provoking books. My TBR stack is getting higher and higher.